Thank you to all that joined us for our 2019 Nashville Fashion Week Launch Party last night at OZ Arts Nashville! We were excited to announce our 2018 Nashville Fashion Forward Fund recipient with plans for our 2019 city-wide celebration of Nashville's thriving fashion and retail community to an enthusiastic and sold-out crowd. We are proud to announce fashion designer Van Hoang as our 2018 Nashville Fashion Forward Fund recipient. A selection committee from The Community Foundation of Middle Tennessee selected Hoang from a diverse group of experienced fashion industry applicants. The Nashville Fashion Forward Fund of the Community Foundation of Middle Tennesseee is an endowed fund that supports the next generation of fashion industry professionals with ties to Middle Tennessee by providing an annual financial award and resources for experiential professional development opportunities to advance the career of select local talent with demonstrated experience in a fashion-related field based on pre-established criteria. 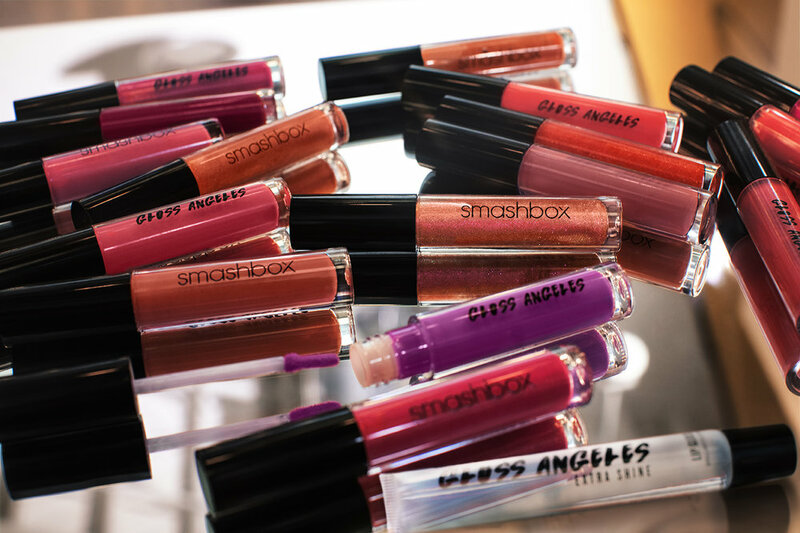 The establishment of the Nashville Fashion Forward Fund in 2010 by the co-founders of Nashville Fashion Week was inspired by the professional development provided by the Council of Fashion Designers (CFDA) through programs such as the CFDA/VOGUE Fashion Fund. The Nashville Fashion Forward Fund is a component fund of the Community Foundation of Middle Tennessee that is funded with charitable donations and proceeds from Nashville Fashion Week. 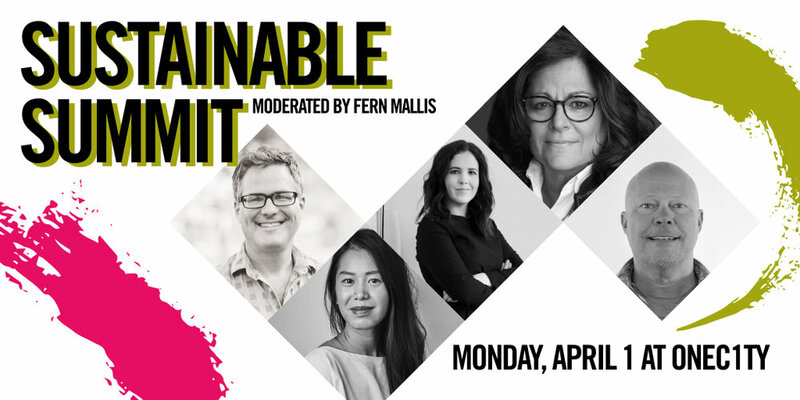 The Nashville Fashion Forward Fund ensures that Nashville Fashion Week is not just a signature high-profile event to celebrate creativity, but also an ongoing, sustainable focus for philanthropic support of our community. 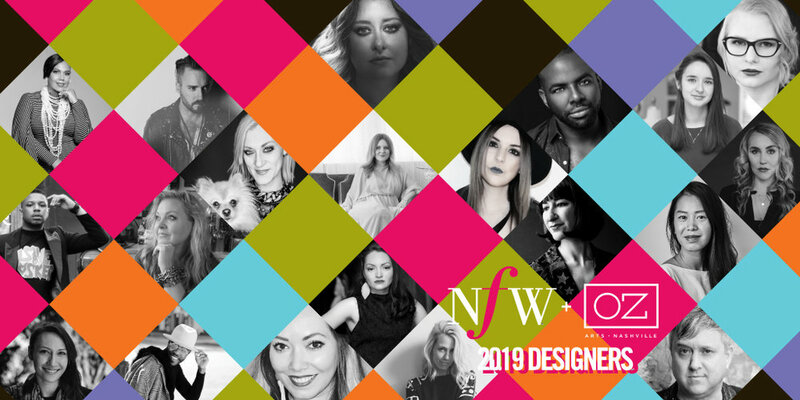 Previous Nashville Fashion Forward Fund recipients include apparel designers Maria Silver, Eric Bornhop, Julianna Bass and Lauren Leonard Phelps; fashion photographer Brett Warren; accessory designer Ceri Hoover, and Elise Joseph, founder of Goodwin. 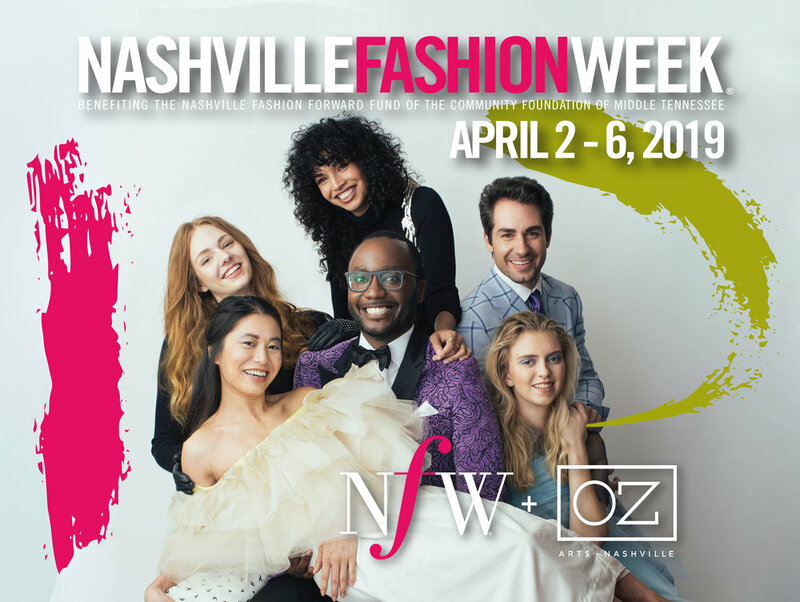 Nashville Fashion Week will take place April 2-6, 2019 in collaboration with our strategic partner OZ Arts Nashville. 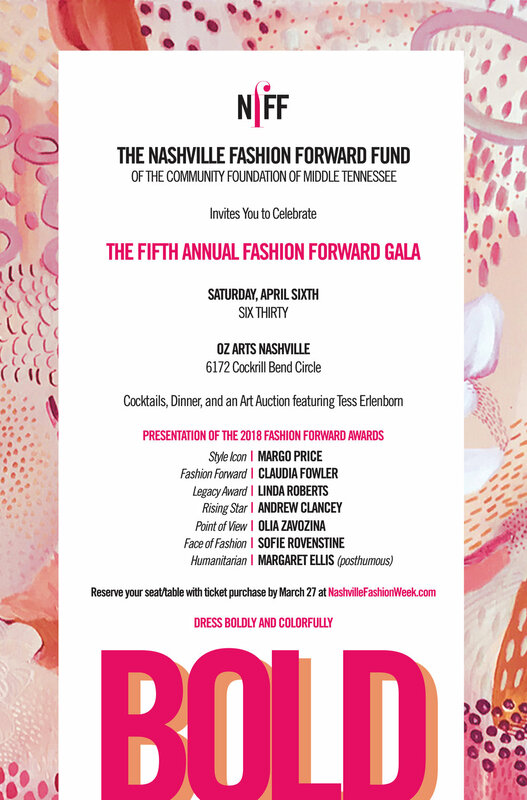 The fifth annual Nashville Fashion Forward Gala will also take place at OZ Arts on January 19. 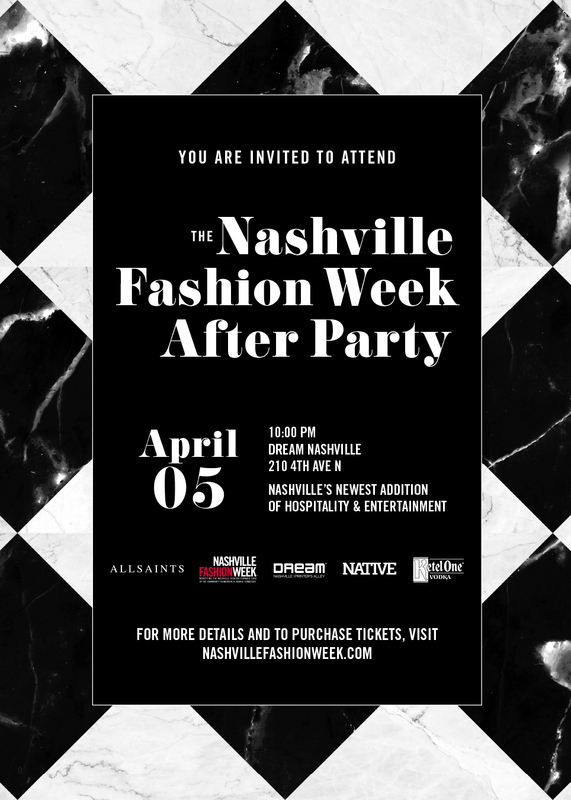 Cathcart-Richardson and Masulla are excited to showcase the accompishments of Nashville's established designers as well as new emerging designers found through the NFW application process on the runway at OZ. 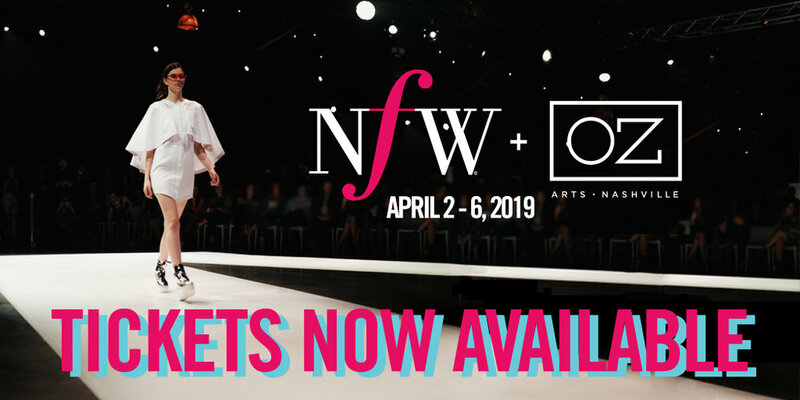 Nashville Fashion Week was founded in 2010 as an all-volunteer led and run event spotlighting Nashville’s growing fashion community with a sustainable focus of philanthropic support of the Nashville Fashion Forward Fund of the Community Foundation of Middle Tennessee. Nashville Fashion Week features local, regional and national designers and industry professionals in an array of creative events throughout the week to encourage both Nashvillians and visitors to explore the city’s diverse fashion and retail spaces through promotions, partnerships and educational workshops. Tickets to the Nashville Fashion Forward Gala will go on sale November 26 at NashvilleFashionWeek.com.